That was a great int. I actually enjoyed watching this. The competition isn’t bad at all. FrogCop19, jake102, jugbandxmas and 5 others like this. Some kinks to be worked out, obviously, but enjoyable. These announcers need a map of DFW. Never heard of Hurst High School and didn't know Hurst was a suburb of Dallas. I'd go for the onside kick play everytime in this league. Especially against an offense like San Diego. What kind of drug induced stupor was the person in who designed the referees uniforms? Frogs1983 and SnoSki like this. The telecast could use some work especially the announcements about the partnering cities bleeding through is really annoying. I think it might be really bad subliminal advertising. Think you can only try an onside kick if you’re down by 17 or more points, and/or under 5 minutes in the 4th. The Nebraska-transfer Aaron Green led his team in rushing tonight. TCUBetterThanYou, tcumaniac, Punter1 and 4 others like this. Fire the coach who only gave Green 6 carries. tcumaniac, nwlafrog and Double V like this. I’m kinda digging this league. It’s not a poop show, bush league thing like the original XFL. I hope the new XFL is like this next year. I think San Antonio will be my team in this league, with the most Frogs, in TX, etc. I can actually see myself liking the competition in this league more than the NFL. Everyone being paid the same is a cool concept. I hope it works out well. chee, Punter1 and FrogCop19 like this. 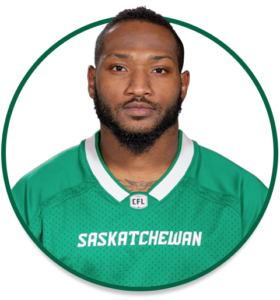 Dawson in under contract with the Saskatchewan Roughriders in the CFL. chee and Punter1 like this. It's the only chance they'll get. Jerry Jones and the McNair family will never allow it in the NFL. Punter1 and Chongo94 like this. Mrs. Brewingfrog and I began laughing after listening to the announcers referring to the new organization as "The Alliance," and then mockingly repeating the words with extra emphasis like it was from the imbecile Star Wars universe: "The Alliance!" It'll be a nice thing to watch, and a welcome relief from the worthless NBA or whatever else takes up space before baseball gets going. Memphis at Birmingham on CBSSports channel at 3 today. And then Salt Lake at Arizona on the NFL channel at 7pm tonight. -Good to see Aaron Green is still doing well, and weirdly enough still stuck behind someone on the depth chart that he outperforms. -QB play needs to improve. That should come with time. -Absolutely love the live shot of the replay official. That needs to come to the NFL and college immediately. -All games can be streamed on AAF.com, even if you don't have cable. Pretty cool to give that to the fans. Streamed most of the Orlando game with no issues at all. -Flow of the game was great. Fewer commercials, no commercial-kickoff-commercial sandwiches. Don't really miss the kickoff either. BrewingFrog and Chongo94 like this.